Dr. Brett Mills is a member of The International Academy of Low Vision Specialists, the leading low vision organization in the US. Dr. Brett Mills provides low vision patients from Bentonville with prescription low vision glasses that help them regain their independence. E-Scoop glasses are designed with the highest manufacturing standards and they feature scratch resistance and no-fade technology. Designed by leading experts in optical lens design for low vision, E-Scoop glasses have been used with great success with our patients from Bentonville, , , and . Like all low vision aids, each case needs to be assessed on an individual basis by our low vision doctor, in order to provide a customized recommendation that will best suit your visual needs. 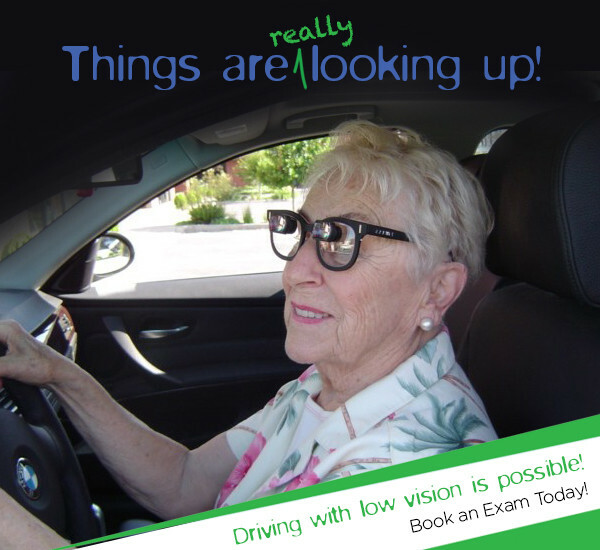 Dr. Brett Mills has worked with many patients to help them pass their driving requirements with low vision aids and E-Scoop glasses in particular. If you or your loved ones are considering E-Scoop glasses, call our low vision doctor for a free phone consultation to explore your options. Our low vision eye doctor helps patients from Bentonville, as well as patients from , , and .